Moose + Turtle = MURTLE. 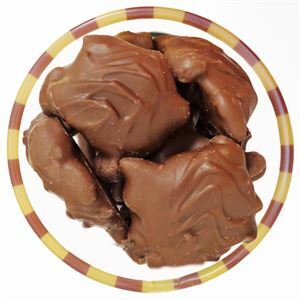 This classic combo of caramel, pecans and milk chocolate never gets old. Slow and steady, the Murtle always wins the race. 2/9/2018 – How many chocolates make up one serving? 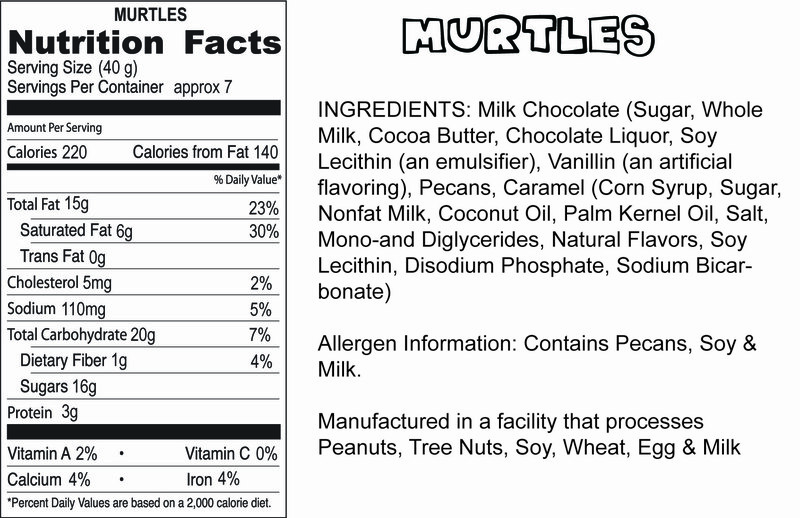 Response From Droolin' Moose: The Murtles vary in size so it will be between 2 large pieces and 4 small pieces per serving (average of about 3 peices) depending on the size of the Murtle. 40 grams is considered a serving with 7 servings in one Droolin' Moose cup.